Darjeeling: The Binay Tamang lobby of the Gorkha Janmukti Morcha on Monday released a statement describing the chain of events when the Gorkhaland agitation was at its peak in the hills a year ago. On August 6 last year, police had raided Bimal Gurung's Patlebas office in Darjeeling prompting him to go into hiding. Gurung is underground till date. The statement titled "We fought a leaderless battle. 6th August is the day when Gorkhaland was defeated in 2017", was issued by Satish Pokhrel, vice-president of the Morcha. It reads: "This exact day, the aspiration of thousands washed off, when the so called brave leader of Gorkhas, Bimal Gurung, ran for his life making mockery out of the sacrifices given by the martyrs. He chose his personal well being over the cause of Gorkhas and absconded when Darjeeling Police raided Gurung's strong hold in the midst of the agitation last year. "In July there were more people on streets than police in hills and that the forces were on the back foot 'as they didn't want to aggravate the boiling situation after death of nearly12 people then'." 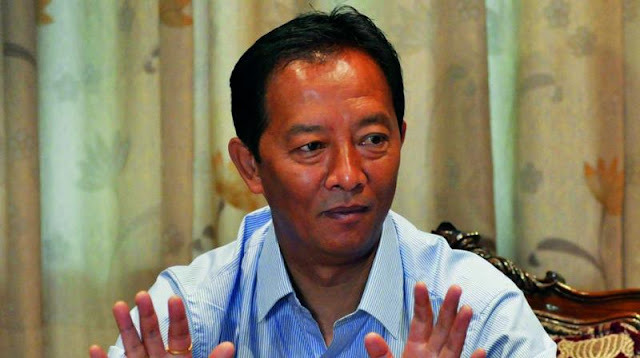 "That was the time when Bimal Gurung should have come out in the public and showed his appearance as the agitation was seen to be going nowhere and the fact of 'no leader on the ground' too could not be ignored. In this given situation, the role of Binay Tamang has to be appreciated. Even Maan Ghisingh was seen leading GNLF rallies and Binay Tamang made an attempt to meet the sitting in for a hunger strike in Chowrasta." "There was a desperate attempt by GJM leadership begging Bimal Gurung to come to out and address the public but all went for vain as Bimal Gurung was reluctant to come out and he claimed to say that there would 'be law and order' situation." The Binay Tamang lobby of the Gorkha Janmukti Morcha on Monday released a statement describing the chain of events when the Gorkhaland agitation was at its peak in the hills a year ago.